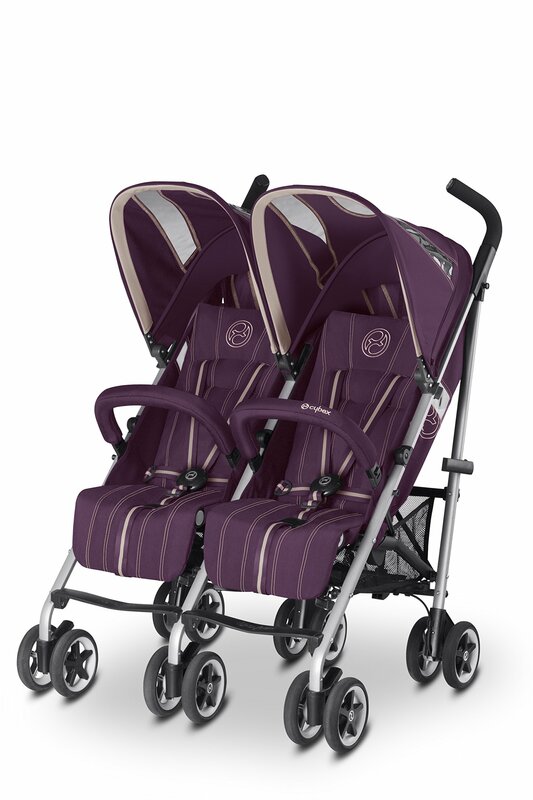 TWINYX TWIN BUGGY Double the fun: The Twinyx – our twin buggy is back. The Twinyx meets the demands of two children with ease thanks to the ingenious functionality that CYBEX has become known for. *Central one-pull harness system *XXL sun canopy with UVP50+ *4-position one-hand recline *Rear wheel suspension. The CYBEX Twinyx buggy offers the same impressive features as the Onyx, including the XXL individually adjustable canopy with UVP50+ standard for optimal sun protection, and high quality fabrics in a series of fashionable, contrasting colours. XXL CANOPY Extra large sun protection: The extra large canopy is individually adjustable and extendable. It is growing with the child and thus offers above-average UV protection and meets the strict Australian UVP50+ sun protection standard. CENTRAL ONE-PULL HARNESS SYSTEM One-hand adjustment: The central one-pull harness system is adjusted with only one hand to optimally fit the child. The simple push of a button releases the belt again. ONE-HAND RECLINE FUNCTION Four-position recline: The backrest can be easily reclined in 4 positions. The one handed adjustment offers highest comfort for parents and children. Easy to use.